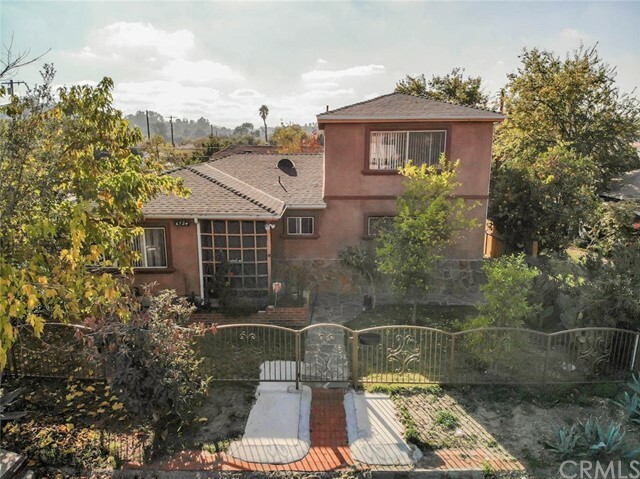 All Highland Park homes currently listed for sale in Los Angeles as of 04/25/2019 are shown below. You can change the search criteria at any time by pressing the 'Change Search' button below. "LOCATION LOCATION LOCATION!! 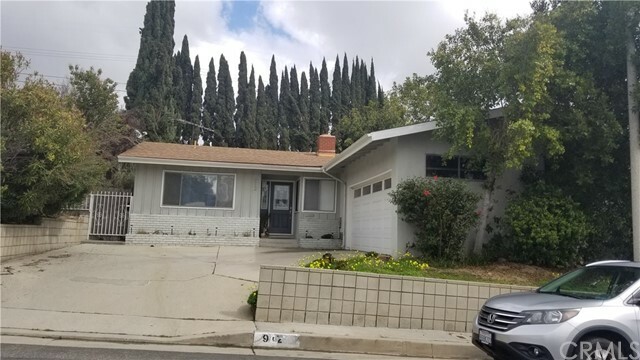 This 4 bedroom 3 bath home is located at the border of South Pasadena near Highland Park, considered by many people to be the best up and coming city in LA. With direct access to the 110 Freeway, close to Downtown LA, miles to Old Town Pasadena, Also near by to Arroyo Seco Racquet Club and Golf Course in South Pasadena. 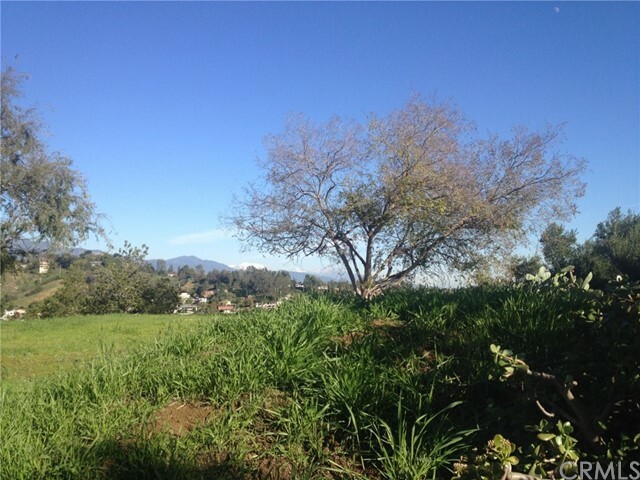 Close to Highland Park Bowl, Highland Theater and dozens of restaurants, cafes, trendy shops and the Metro Gold Line! this place is ready to be call HOME come down and check it out." "This spectacular 1929 Spanish Revival home evokes a bygone era and is abundant with charm and character. Set gracefully atop Avenue 59, this home has been lovingly preserved and offers many original period details. Features include; light filled formal dining & living rooms, a breakfast rotunda, wood floors, barrel ceilings, French doors, original wall sconces, OK&M stove, vintage bathroom tile & vanity, oversized picture window and a decorative fireplace. The property is zoned LARD2 and offers three separate areas that are ideal for the creative person who is seeking studio space and a rental. One of these spaces has been approved as an ADU. The drought tolerant front garden is fenced and looks onto one of HP's most iconic homes. The rear yard is ideal for entertaining with a wood deck, hot tub, grassy areas and DTLA views. Also enjoy pecans, figs, lemons or loquats from one of the many trees. Located in the historic district of Highland Park & blocks from the Metro Train." "Nestled on a hillside in the Highland park community, This zoned R2 1908 Craftsman Vintage home is a great investment with original features. The existing home is 1,142 square feet with 3 bedrooms 1 & 1/2 bath and a generous lot size of 9,999 square feet, with Amazing Views. The potentials are endlessly. The property features front porch where you can relax and enjoy the amazing view, family room with city light views, Formal dining room with built in hutch, vintage double doors to back patio. Kitchen offers Formica counter and ample cabinetry space that's open to the dining room. Front bedrooms offers a spectacular view. Additional bedrooms generous in size, full bathroom with tub & shower & 1/2 bath . Large windows that lets in plenty of natural light. Nice spacious backyard for barbecues gatherings, mature tree. This is a highly desirable area that is a short distance from caf , restaurants, shops and near the Metro Gold Line Station. 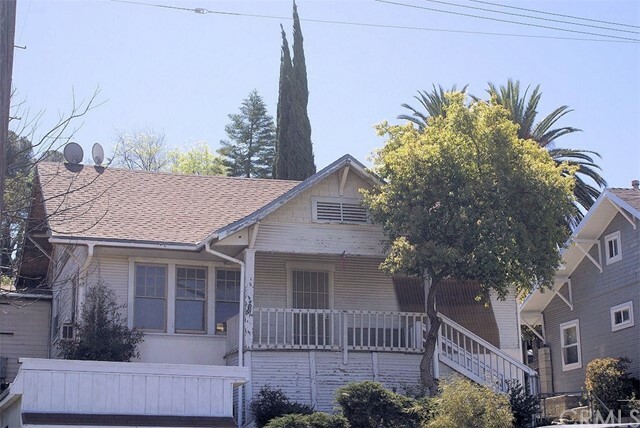 property conveniently located near freeways, Down Town LA, South Pasadena, Glendale, & Dodger Stadium. One car garage with rolling garage door. Make this charming home yours today! Permit for 1/2 bathroom not verified." "Welcome home to this picturesque Craftsman in the heart of Highland Park's most sought-after neighborhoods. This gem was updated to keep its classic charm and architectural features while adding today's comforts. 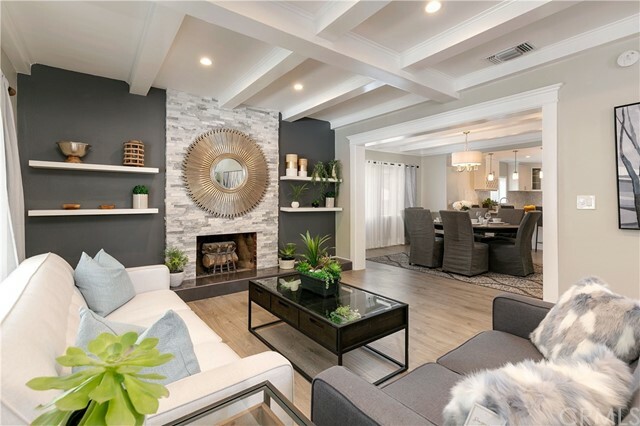 The open floor plan is large and inviting, filled with plenty of natural light that compliments the wainscoting, wood burning fireplace, and refinished hardwood floors. The kitchen has custom agave cabinets, chevron counters, new appliances, and farm sink. The 2 bedrooms are spacious with one having its own private bathroom. The second bathroom has a gorgeous clawfoot tub/shower and barn style sink. Outside enjoy group dining on the wood deck or sit by the firepit, mature fruit trees, and lush lawn. The detached garage is a permitted workshop approx 240sq ft. Central Air/Heat, tankless water heater, copper plumbing, ABS drains, retrofitted foundation, rebuilt fireplace, plus more. Large lot with room to grow. Easy walk to shops, produce, restaurants, and entertainment." 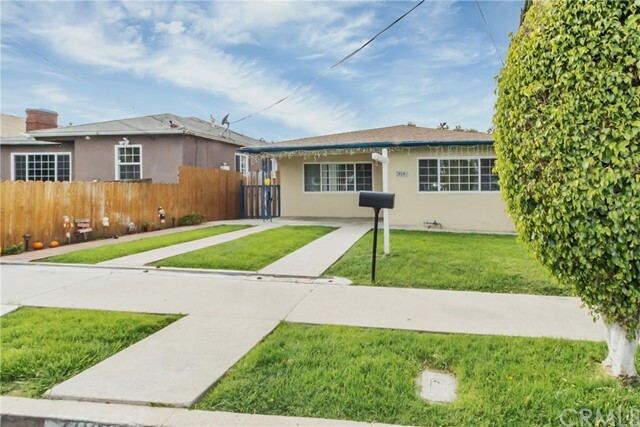 "Right in the center of the San Pascual district of Highland Park, NELA's hippest community, sits this picturesque 2 bed, 1 bath home with many extras.With a sparkling pool and jacuzzi, this back yard is an entertainer's dream! Everyone will want you to host the Little League team party, or the Office Social. There's plenty of room for the BBQ, the bar, for the kids to run around in and even parking for 5. The interior boasts tasteful updates while keeping with the charm and originality intrinsic within the home. The gorgeously restored original hardwood floors have a warmth and shine to them. 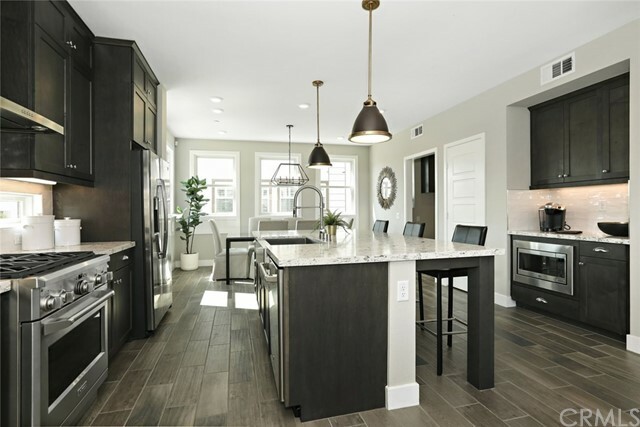 The kitchen and dining area enjoy an open concept and lovely French doors leading to the exterior patio, providing for a bright and airy feel to the whole space. Laundry area located just beyond the kitchen and Central A/C. AND, there's more! A bonus area equipped with it's own restroom with a shower, kitchen area , and an additional large bonus room as well. There is so much potential here!" "Tucked into one of Highland Park's best cul-de-sac streets in one of LA's most historic pockets, this 3bd/2ba sunny Spanish bungalow marries character charm and modern conveniences. Enter through the whimsical vintage front door to an open-concept living/dining area flooded with light where you'll surely concoct the most spectacular plans every morning at the breakfast bar. Master your chef skills in the updated kitchen with floating wood shelves, quartz countertops, and new appliances. Soak up magical vibes under the stars in the xeriscaped outdoor space, perfect for urban gardening and small gatherings. And at the end of the day you'll sleep like royalty in the spacious master suite, staying cool under the covers thanks to new dual pane windows and central A/C on a Nest thermostat. A detached garage opening to a grassy private alley makes an ideal studio to play/create + never miss a delivery thanks to the Ring video doorbell. 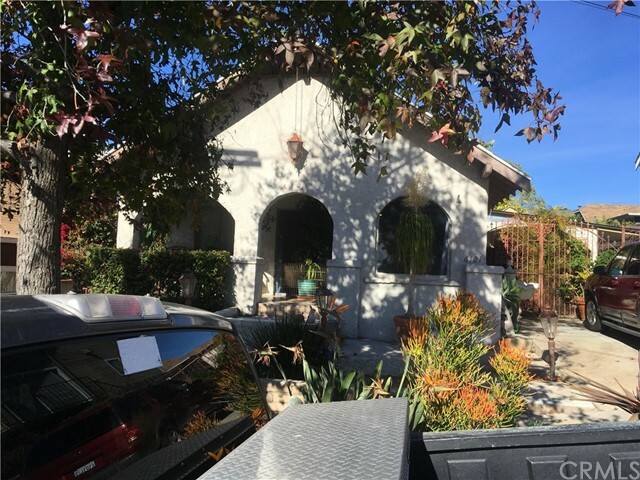 Come experience this dreamy Eastside casita for yourself!"